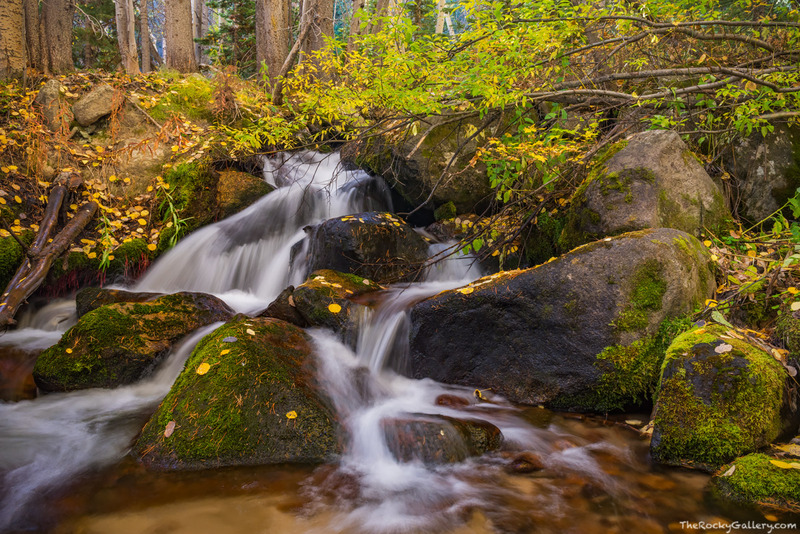 One of Rocky Mountain National Park's most beautiful streams has to be Boulder Brook. This small stream which has its been beginnings on the flanks of Longs Peak cascades through some of the most beautiful forest in all of RMNP. It weaves its way through aspens, pines and boulders and during the autumn months golden aspen leaves line the banks of Boulder Brook. Photo © copyright by Thomas Mangan.